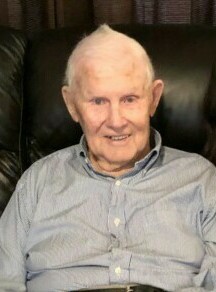 James Granville Craig, age 91, of Fairview, NC, passed away on Saturday, April 6, 2019 at Universal Healthcare in Fletcher, NC. He was born on March 22, 1928 in Buncombe County to the late James Roosevelt and Minnie Owenby Craig. James worked as a farmer for Biltmore Dairy Farm for 35 years and as a forklift operator at Carolina Industries for 15 years. He was also a member of Chestnut Hill Baptist Church. James was widowed by his wife of 66 years, Clara Evelyn Dotson Craig who passed in December of 2013. Along with his wife, he was also preceded in death by his son, James Terrell Craig who passed in February of 2004; one grandchild; one great grandchild; three brothers; and one sister. James is survived by his son, Boyd Lee Craig (Connie) of Fairview; his daughter, Frances Craig Haney (Calvin) of Asheville; his brother, Samuel David Craig of Fairview; seven grandchildren; 16 great grandchildren; and two great-great grandchildren. A memorial service will be held at 1pm, Thursday, April 11, 2019 at Chestnut Hill Baptist Church in Fairview. The Rev. Ronnie Harris will be officiating. Burial will follow at Chestnut Hill Baptist Cemetery. The family will be receiving friends at the church an hour before the service from 12pm-1pm. Penland Family Funeral Home is honored to be caring for the Craig Family.